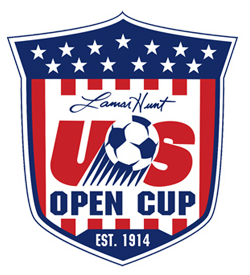 The Columbus Crew dropped out of the 101st Lamar Hunt US Open Cup last night by way of 4-2 aet loss in Chicago to the Fire. Outside the result, this match might be remembered for a couple things - one being tied to the other. Not often that we see a professional team just flat out not able to field a full 18. I've seen it a couple times by choice in the US Open Cup (LA Galaxy comes to mind) as well as in Reserve matches but can't think of a time where a team had to do it out of necessity and only able to pull together 14 players. After a strong start to the season and a couple months of stability at the player level, all the sudden the Crew have players in numerous stages of availability. Plenty of excuses out there, World Cup being the big one, but not being able to field enough players when 30 is allowed is worrisome for the team. While the team was more than competitive with Chicago in the match the Crew will not be able to hold on to there table position with a roster in pieces like it currently is. Not only will results suffer but practices will as well with half the team not available. MLS regular season starts back up this weekend as FC Dallas are in town. Crew will have to be at there best to navigate the next few weeks or they will risk falling off pace to make the MLS Cup play-offs.